A sustained release implant may better facilitate the management of diabetes mellitus in mice, which are attaining increasing importance as the preferred model for human IDDM research. 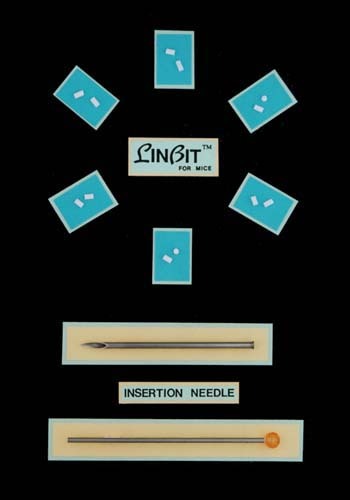 The LinBit implants are made from an admixture of insulin and micro-recrystallized palmitic acid. The 3-mm long LinBit with a diameter of 2 mm is designed for ease of handling and appropriate selection of dosages. Linplant is made entirely of natural materials. 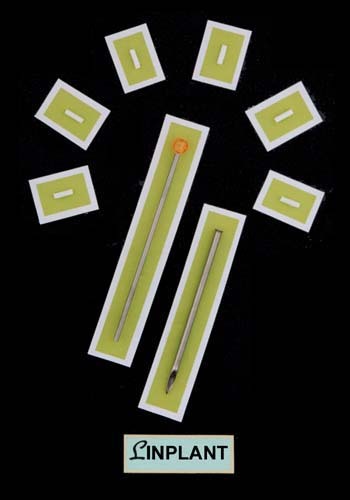 The 7-mm long implant has a diameter of 2 mm and is designed to facilitate handling and insertion. Upon implantation, gradual erosion of the implant starts at once, and the effect of released insulin on the blood glucose level can be detected in <1hr. Unlike insulin given by injections, the implant releases a set basal dose of insulin continuously in every hour of the day. Therefore, an animal given an optimal implant dose will show no glucosuria and ketonuria, which are difficult to prevent by daily insulin injections, because the action of the injected insulin lasts only for a part of the 24-hour day. Implants in the Linplant Clinical Pack are made entirely of natural material. The 7-mm long implant with a diameter of 2 mm is precision-fabricated under sterile conditions from mono-component human insulin (rDNA origin) and micro-recrystallized palmitic acid without any other additives whatsoever. 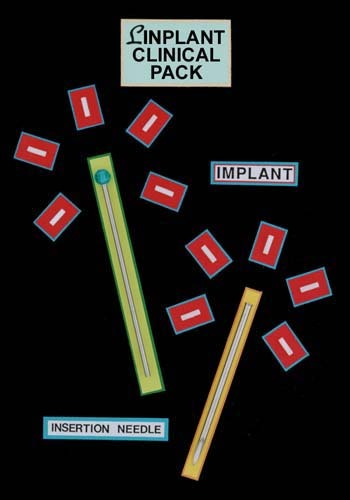 The sustained release implant is designed for ease of handling, insertion and appropriate dose selections. Upon subcutaneous insertion, the gradual erosion of the implant starts at once, and the effect of the released insulin on the blood glucose level can be detected in <1hr. In contrast to insulin given by daily injections, the implants releases a set basal dose of insulin continuously in every hour of the day for about 56 days, in vivo. LinShin Canada, LinBit, and Linplant are Registered Trademarks of LinShin Canada, Inc.